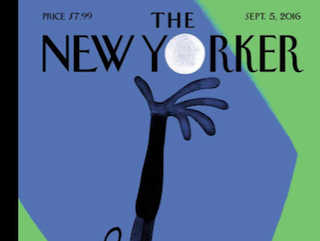 The latest New Yorker cover — by Christoph Niemann — is an ode to the U.S. Open, which began today. While the cover is great, Niemann took things a step further and created a virtual reality video to pair with it. Serve! follows a bouncing tennis ball as it goes from player to player. Niemann told The New Yorker he focused on the ball in order to make the viewing experience more enjoyable. Serve! can be seen through a Google Cardboard VR viewer on the latest versions of Chrome, Opera, Firefox or Internet Explorer on your computer. If you’re on a phone, use Cardboard with the YouTube app.